To meet the diversified requirements of our prestigious clients, we are engaged in offering Color Sorters for Food Industries. Manufactured as per the industry norms, this sorter is made using superior quality components and ultra-modern technology. 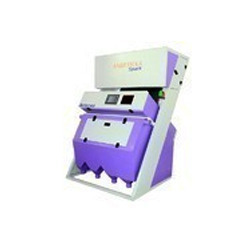 Apart from this, customers can avail this sorter from us in varied specifications at market leading prices. We test this sorter against different parameters so as to ensure its quality. Looking for Food Grade Color Sorter ?